As much as I love summer and all the fun that comes with it, sleeping on hot summer nights is not exactly a pleasant experience; you are restless because it’s too hot and you can’t leave the air-conditioner working for a whole night because it will eventually freeze you. That’s the main reason why I love the in-between seasons like spring and autumn; you can sleep tight without being troubled by room temperature and more importantly, you can enjoy the chilly nights outside without freezing to death. The most important thing you need to determine before buying an outside fire pit is the type: which one would best fit your idea and your available space? You can choose from two basic types of outside fire pits: portable and permanent installation. Portable fire pits can be moved, are a lot less expensive, thus are very convenient. The next thing is choosing the working mode: gas or wood burning? Burning wood requires certain environmental conditions that need to be first fulfilled; you can’t just burn wood and put the entire neighbourhood in smoke. And finally, material: choose something that will be rust resistant and that offers heat retention. When I talk about the location of the fire pit, I refer to the dimensions you need to consider while placing it. 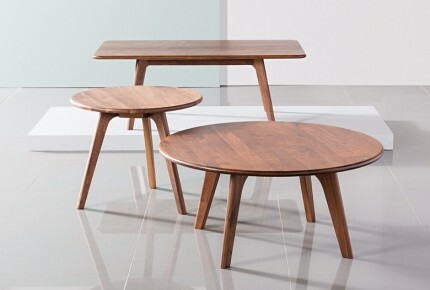 You need to place it at least 3 meters away from the house and leave about 1.8 metres diameter around it so you can place the outdoor seating set. I think this is more than obvious – you can’t place your fire pit on a wooden surface, right? It’s not safe and it can cause you severe damage. 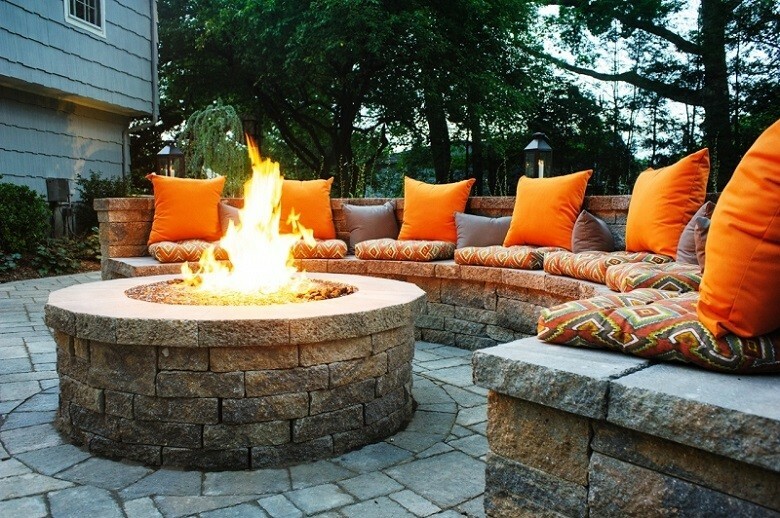 Instead, choose gravel, brick or stone surface to place your fire pit on; these are neutral surfaces that don’t interact with fire, so you will not have to worry about burning your house down. Details like these are what makes the whole fire pit-gathering-around experience an amazing one. For example, cherry wood smells amazing and doesn’t spark much like pine wood does and this is a very important fact to keep in mind when you buy wood. 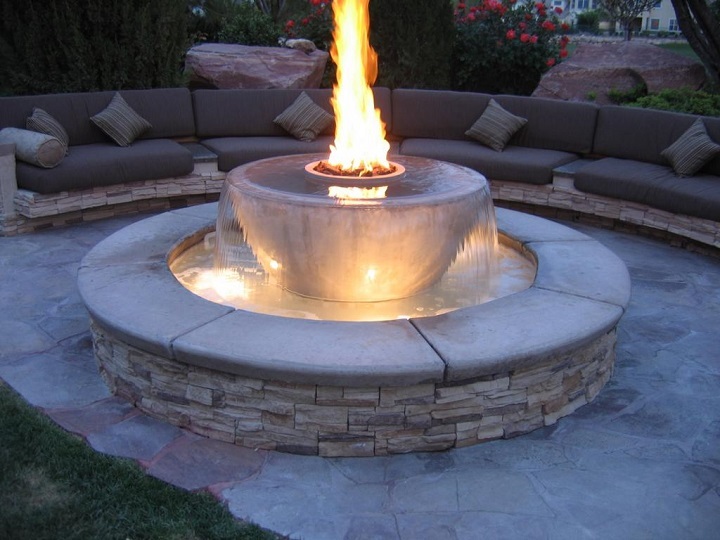 For gas outside fire pits, lava rocks and fire glass are the best choice. The most important thing to remember here is that whichever type of rock you use for your fire pit, you must make sure it’s not wet. Remember, heated wet rocks tend to explode.